I’ve been an Electrocompaniet user for many years. I own the fabulous Nemo monoblocks, which drive their namesake B&W Nautilus 800Ds (see my October, 2008 review in Dagogo. I’ve also reviewed the Electrocompaniet EMC 1UP CD player (December, 2009), which despite its age (first introduced in 1999) continues to be one of the most musical players around. 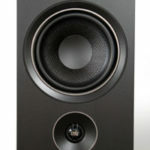 Finally, I thought that the Electrocompaniet system, including the new Nordic Tone Model One speakers demonstrated at the 2009 Rocky Mountain Audio Fest, was one of the best sounds of the show. So as you read this review, beware my prejudice: I think that the Electrocompaniet “house sound” is not only easy to listen to, but does a great job in replicating music the way that I hear it live. Several years ago during my search for a preamp that would be ideal for my system, I auditioned the EC 4.6 preamp. It had all of the positive characteristics of other Electrocompaniet gear, but I thought it fell short on PRAT (pace, rhythm and timing) and did not have the dynamics of better components. The 4.6 was replaced by the 4.7, which I never auditioned, but which reputedly was an audible improvement over the 4.6. Nonetheless, the 4.7 was never positioned as a “reference” product. The EC 4.8 is different. It is designed as Electrocompaniet’s reference preamp; it does not replace the EC 4.7 – the 4.7 remains in the Electrocompaniet lineup. Rather, the EC 4.8 is a higher model designed for those who demand higher performance. It is designed as a fully-balanced dual mono preamp, with each channel having its own power supply. I suspect that this is one of the design features that makes the EC 4.8 a terrific preamp and a very strong value in its class. The EC 4.8 shares a look that is similar to other Electrocompaniet components. It is a slim unit with a low profile. Black, with gold control buttons, it is visually consistent with other Electrocompaniet “Classic Line” components. I personally like the black-gold look very much, and have several components of other manufacturers that sport a similar look. The EC 4.8 has five sets of inputs – two sets that are balanced and three that are single-ended. They are labeled “SACD/DVD”, “CD”, “TAPE”, “TUNER” and “HT/AUX”. The first two are the labels on the balanced inputs and the last three are the labels on the single-ended inputs. It has one balanced line output. The only single-ended output is the Record Out for recording, and its volume is not controlled by the EC 4.8. Balanced operation is what Electrocompaniet recommends in all of its components, so you’ll need an adapter if the output cables go to a single-ended amp. I was able to confirm by experiment that an all-balanced connection is the preferred mode. There are also connections for cables to control Electrocompaniet amps, a dataport for future software upgrades, and an output to charge your remote. The supplied remote functioned well and was intuitive. The EC 4.8 arrived at a time when I had plenty of components and cables to test it with, as well as several excellent preamps to test it against. The speakers were my own Bowers and Wilkins Nautilus 800D, and Dynaudio Confidence C4. The front-ends used were Esoteric P-70/D-70 separates, Qsonix Q105 music server, Marantz DV 8300 Universal player and Pioneer Elite DV-38 DVD-A player and Lyngdorf RP-1 RoomPerfect Digital Room Correction Device. Amps were Electocompaniet Nemo monoblocks and a Proceed HPA 2. Comparison preamps were the MBL 6010D and the Pass Labs XP-20. Interconects were Silent Source Silver Signatures and Music Reference, and Aural Symphonics Chrono. Speaker cables were Silent Source Silver Signatures and Aural Symphonics Hybrid V3. All of these were used in one or more configurations with the EC 4.8. Power cords were LessLoss DFPCs and DFPC Signatures run through LessLoss Firewall Power Distributors. I was able to compare the EC 4.8 directly with the MBL 6010D and the Pass Labs XP-20, two preamps that have been my references for the past two years. The MBL is definitely a “cost-no-object” component at $24,000 retail and the Pass is an “expensive but terrific value” component at $9,500. At $4200, the EC 4.8 costs a small fraction of these other fabulous preamps. The EC 4.8 is definitely closer to the MBL 6010D than the Pass XP-20 in sound. The Pass XP-20 has an extremely clean, detailed and tight sound with razor-sharp performer placement that is the epitome of neutrality, without any euphonic touches. The MBL is also extremely detailed, but has a fatter and slightly more dynamic sound, with full weighty bass and lots of body in the performers, which results what some may call a “pretty” sound on every recording. The Electrocompaniet “house sound”, which features powerful and full-bodied but defined bass, a very natural-sounding midrange, an extended but glare-free top-end and wide and holistic soundstage, has many similarities to the voicing of MBL products, and I freely confess that it fits my personal preferences. Given the huge price disparity between the EC 4.8 and the MBL 6010D, the differences in performance were surprisingly small. This may not be fair to the MBL since the MBL is a ridiculously full-featured product, with two full sets of separately-controlled output groups for biamping and multi-room systems, balance controls and a myriad of other features which are absent from the EC 4.8. Nonetheless, from a pure single-system audio performance standpoint, the EC 4.8 came quite close to the 6010D. It’s soundstage was as wide, but a tad less deep, its dynamics were at least 97% of the 6010D’s, bottom-end extension was just about as good, and top-end extension was just a shade less. The midrange was superb, and I found I could not develop a clear preference between the two preamps on that score. Mind you – this was after switching the two preamps several times. One visitor, who only listens to orchestral music, could distinguish between the two preamps, but could not say that he preferred one over the other. Comparisons with the Pass XP-20 are a bit harder to explain, since the EC 4.8 and the XP-20 are quite different in their presentation. The XP-20 clearly beats the EC 4.8 in the category where it is the undisputed king (in my book anyway) for low-volume listening. No preamp I’ve ever heard can match the XP-20 when comparing how it sounds at very low listening volumes, and the EC 4.8 was no exception. The XP-20 was also better at performer placement on the soundstage and in pure liveliness, both of which are aspects of the XP-20 that are absolutely at the top of the class. However, I preferred the tonality of the EC 4.8 in the all-important midrange. In addition, the EC 4.8’s bass weight was better and more realistic. Again, this is a comparison with a significantly more expensive preamp. Using the EC 4.8 with the Nemos was very instructive, since both the preamp and amp are voiced in the same way. That voicing provides a very natural midrange warmth and a treble that brings out natural detail without exaggeration or hardness. Female voices, woodwinds, string, and brass all sound very enticing, without a trace of glare. The pair got the timbre and the dynamics of woodwinds, brass, and complex strings “right” in a way that was quite seductive, but not “gooey” (new review term I’m developing). At the bottom-end, you get an excellent balance between detail and weight, with the low bass and midbass perfectly blended. The EC 4.8/Nemo combo also produced excellent imaging and soundstage depth and width. Large complex orchestral music, small jazz combos, chamber music and soloists were all very lifelike, with powerful but natural-sounding dynamics. These aspects of the 4.8 were all very consistent with my prior experiences with Electrocompaniet products. As I mentioned above, the main shortcoming that I had encountered with earlier versions of Electrocompaniet preamps (4.5 and 4.6) was the lack of PRAT and explosive large-scale dynamics. That shortcoming does not exist in the 4.8. Indeed, the EC 4.8 retains the ability to impart seductiveness to soulful and languid music while still supplying the propulsive force of rhythmic and frenetic music. Both Pavarotti and Talking Heads benefitted. It does not have the bone-crushing dynamics or extreme low bass force that the MBL 6010D is capable of, but if you hadn’t heard the MBL you may very well not notice. The EC 4.8 was also “tweakable” within certain parameters. Though there were limits to this, use of cones, discs and power cords allowed you to alternatively make modest adjustments which tightened or loosened up the sound. The EC 4.8 never lost its fundamental character, but was just pliable enough to allow you to adjust for preference. I also found that the 4.8 worked well with a wide range of sources. Each of the front-ends mentioned above sounded good and mated well. Its input impedence of 47kOhms combined well with its -111dB minimum gain and 6dB maximum gain and low noise floor to allow each source to sound good. I did not experience any situation where the volume could not be satisfactorily managed. 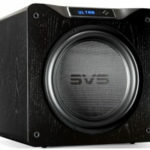 Well, here I am again recommending a high-end audio product, but the EC 4.8 absolutely deserves it. It is, in fact, a high-value product that performs above its price range. 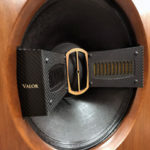 It delivers very clean and very natural music with a voicing that mimics reality, mates well with a wide variety of products, and performs well with all types of music. Put it on your short list even if you have a lot more to spend. 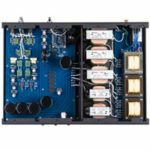 Do you think the Electrocompaniet EC4.8 will partner well with the Mark Levinson No.332 amplifier? Your valued opinion is much appreciated. I don’t see any reason why that wouldn’t work. In fact, I think you would probably like the voicing if you like the Levinson sound. I’m guessing you’ll a some natural body to the presentation let me know the result if you try it. Hi, good evening. When mounting a Hiend stereo system based on vinyl. I Think to buy this preamp to make a sinergy with the Sunfire 300 power amp and Audio Research PH3 SE phono stage. Does this family works fine?